I decided to show him taking a nap along the riverside because that’s what sunny afternoons are for when you’re a river rat, right? I had a good time with this one, coming up with various shades of brown to try and give him some dimension and make him look furry. 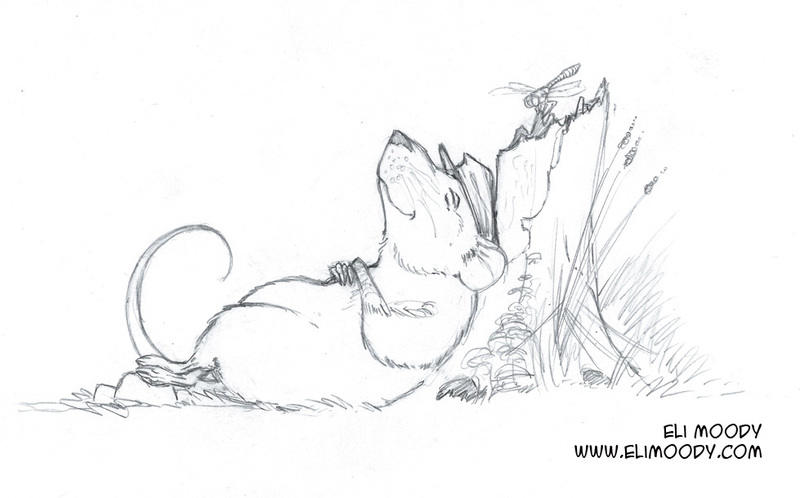 Below you can see the pencil drawing I did for this sketch. I wish I had matched some of the pencil lines more closely when I inked it, but overall I’m pleased with how this turned out. 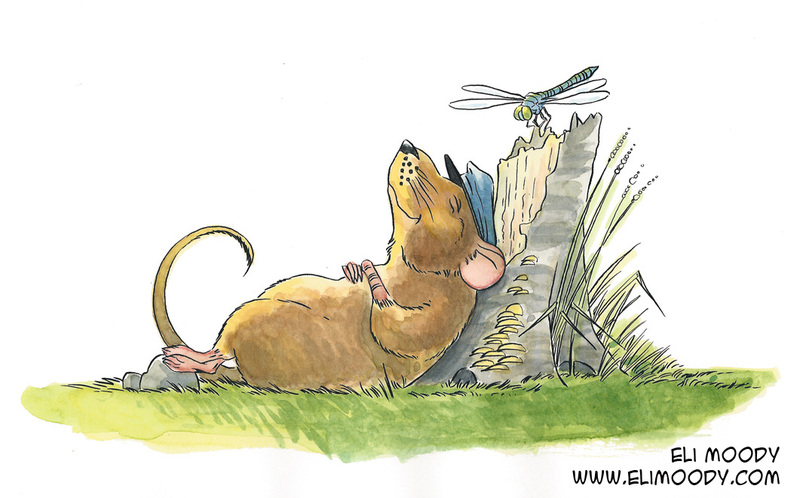 This entry was posted in illustration and tagged animals, eli moody, illustration, pen and ink, pencils, rat, watercolor, wind in the willows. Bookmark the permalink.